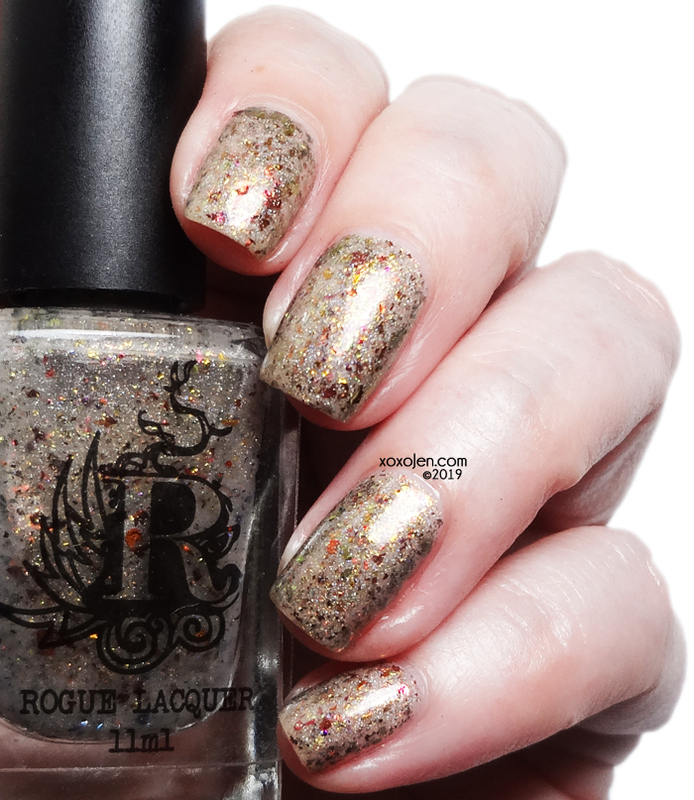 Rogue Lacquer's new series, Adventure Awaits, begins with a set inspired by Isle of Wright. 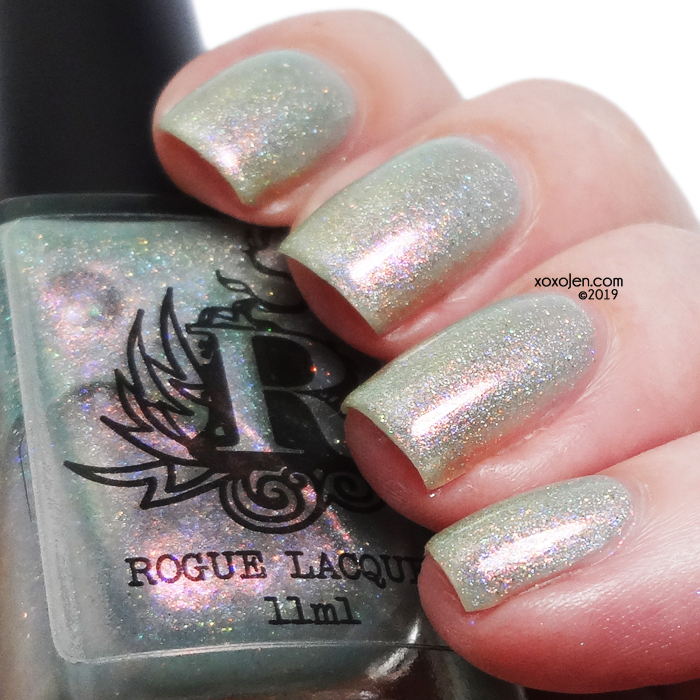 The collection will be available online April 10, 9pm Central at Rogue Lacquer's online shop. Loving this shift in this! 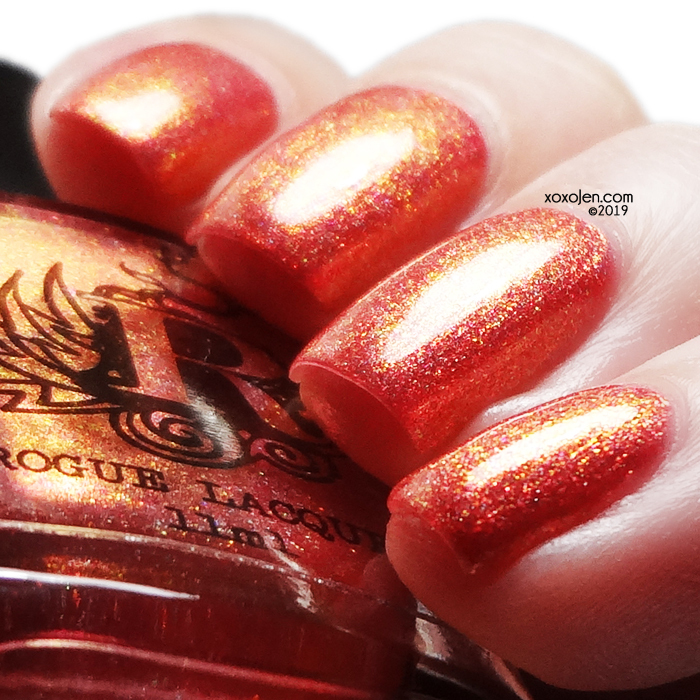 The shimmer morphs the polish to a much more orangey shade. I'm guessing there might be aurora in here which because of the reddish base, appears orange instead of greenish when it shifts. Pretty clever magics there, if that's the case! 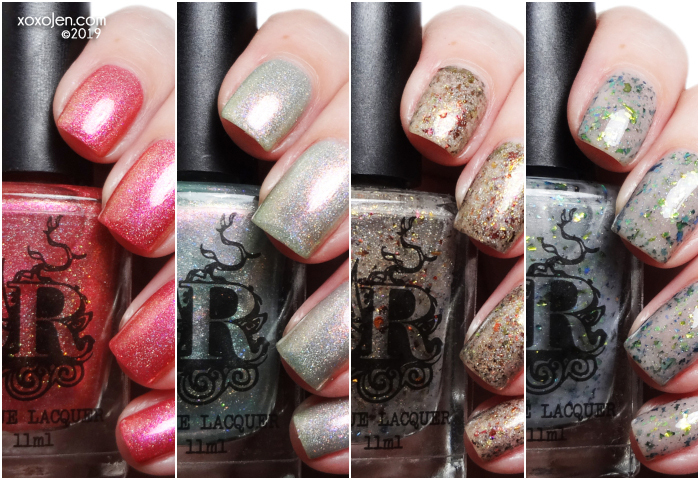 I love how base colors can affect the actual color of a shimmer or glitter. Shown in two coats with topcoat. Such a beautiful shimmery pale shade of green. 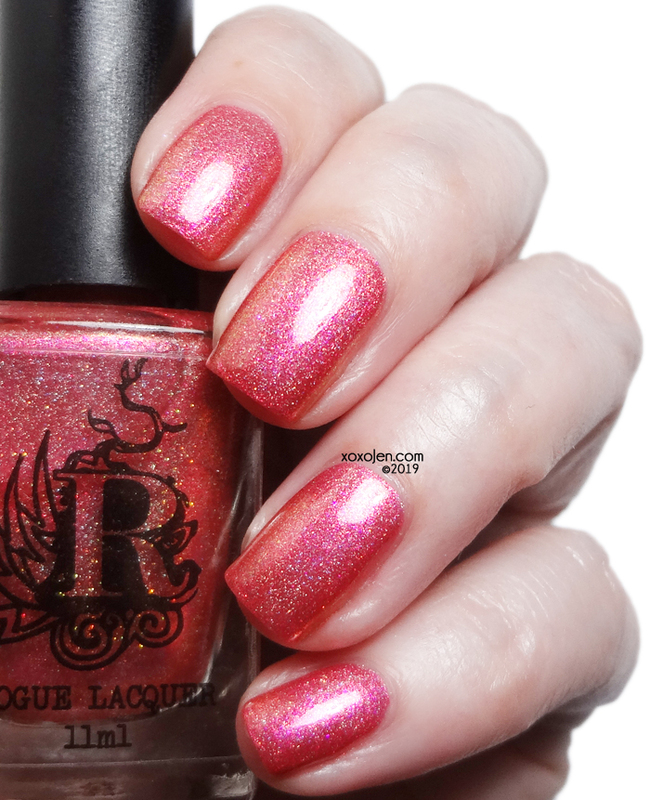 It reminds me of the super popular Dior shimmer polish, only this one kicks it up a few notches in the sparkle department! 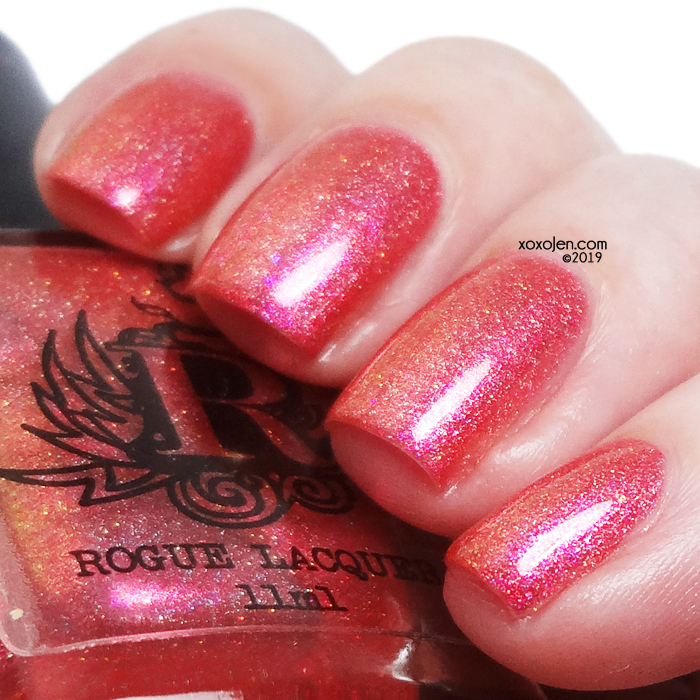 Shown in two coats with topcoat. Flakes represent the different colors of sands. 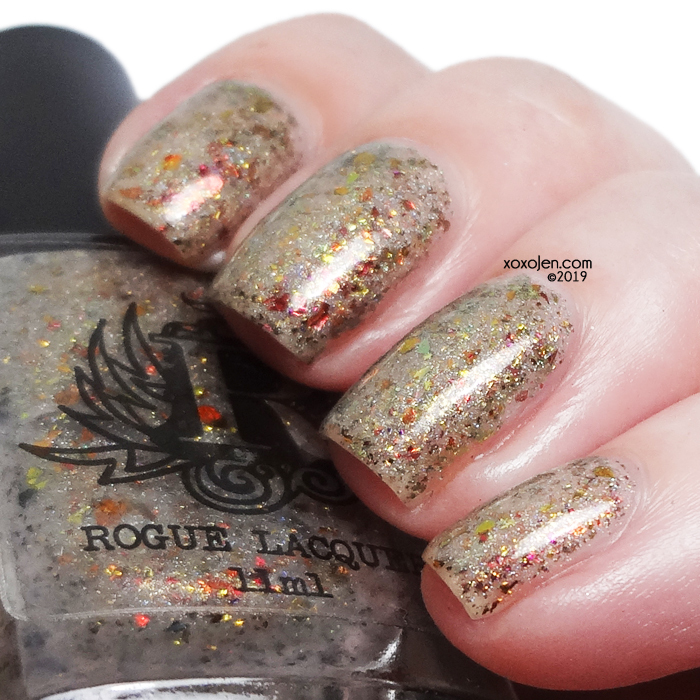 A holo sandy base with all different colors of flakes. I'm wearing this one today and loving it. 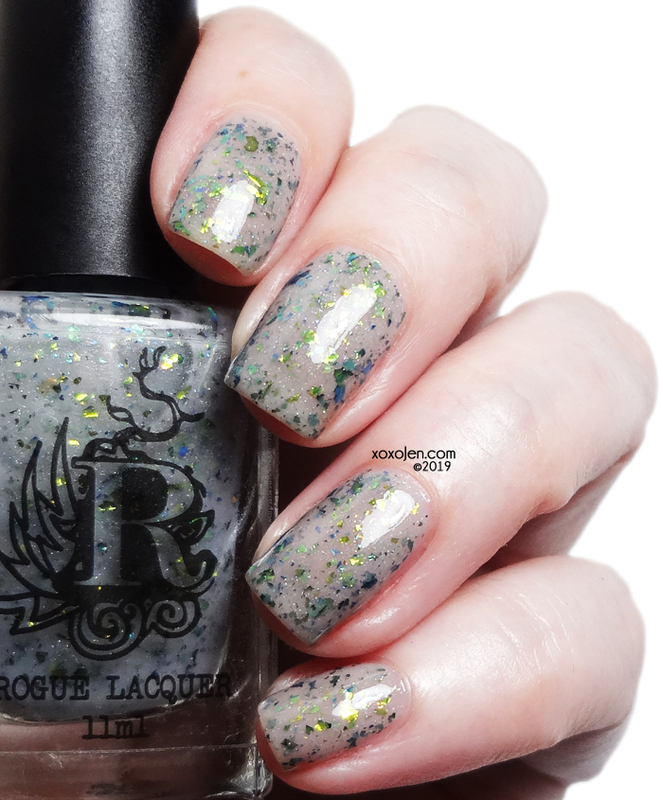 Neutral but super fun and sparkly! 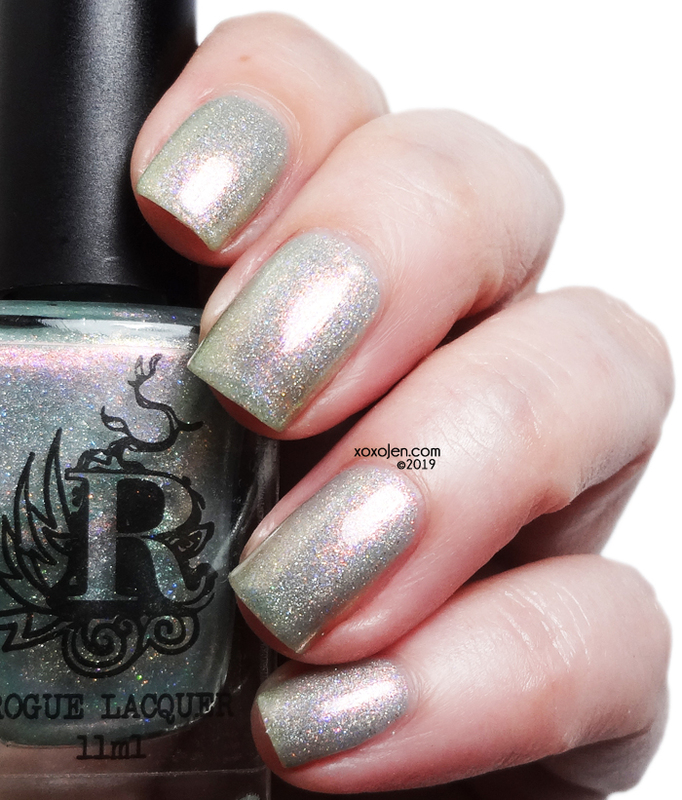 Shown in two coats with topcoat. The castle is hundreds of years old, with a lot of history. Super squishy stone grey crelly with flakes that represent the moss that has grown on the castle. The pops of green against the grey are so pretty! Who woulda thought this combo would catch my eye they way it does?! Shown in two coats with topcoat. The first coat was quite sheer and I first thought it would remain that way with another coat, but the second coat built it up quite nicely.